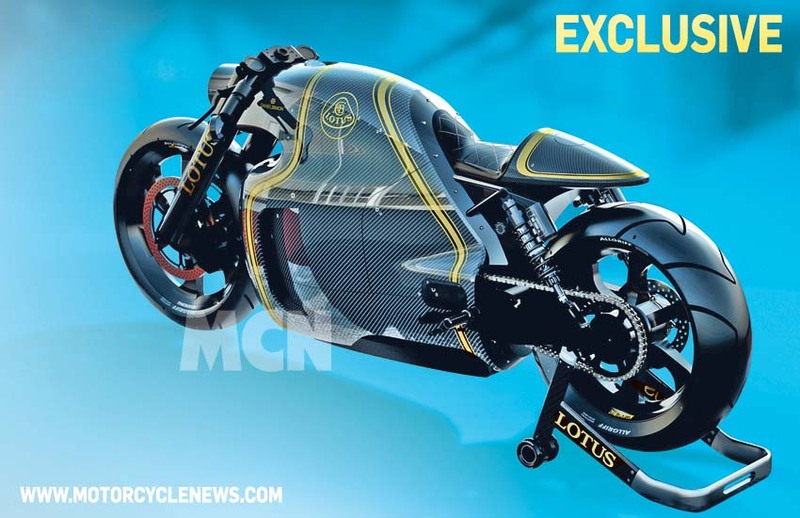 The first images of the Lotus C-01 hyperbike have hit the internet, MCN and has the “exclusive” on the 200 horsepower machine’s images. The first images are in fact renders of the final design, though they look the part and clearly show the Lotus C-01’s lines. Said to have a KTM RC8R v-twin engine beneath its carbon fairings, the Lotus C-01 hits a lot of the right numbers on the technical sheets, though visually the machine it is less enthralling. This surprises us, since the bike’s designer Daniel Simon (creator of the new Tron Lightcycle, and author of Cosmic Motors), is one of our favorite designers. The design grows on you a bit over time, but it is hard to say that when you think of a 200hp hyperbike, the images here come to mind. With Lotus getting close to officially showing the C-01 to the public, we should have full specs and details shortly, until then we will have to examine these photos more closely. What are your thoughts on the machine?